Karen Bisko is an accomplished development professional with more than 20 years of experience in healthcare, hospital and university fundraising. She received her Certified Fundraising Executive (CFRE) designation in 2005. She also received both her major gifts and capital campaign certifications from the Association of Healthcare Philanthropy (AHP) Madison Institute at the University of Wisconsin. 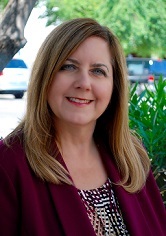 Karen has held various development leadership positions with Children’s Hospital of Pittsburgh, Banner Good Samaritan Medical Center, The Leukemia and Lymphoma Society, The American Diabetes Association, Benevilla, Arizona State University and Coastal Carolina University. She is a native of Pittsburgh, Penn., and a graduate of West Virginia University. She resides in the West Valley with her husband and two children. Karen enjoys traveling, reading, wine tasting, equestrian activities and sports, especially cheering on her Pittsburgh Steelers football team!